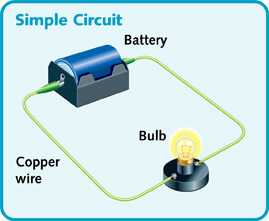 For a current to flow, electric charges must complete a loop, or circuit. A current cannot flow if the circuit has any gaps, or breaks, such as a cut wire or an off switch. An open circuit has at lest one break, like a flashlight with a switch and a closed circuit has no breaks. What makes up a circuit? 1. Energy Source that allows energy to move electric charges. *Examples of these are batteries and outlets. 2. Wires that allow charges to move. 3. Resistors; such as light bulbs or machines using electrical power. **Some circuits may have a switch to turn devices on or off. Below are charts displaying symbols represented in parts of a circuit. (outlet, battery, generator) to the positive side (light bulb or machine) of the power source. 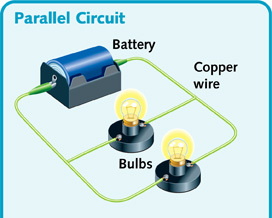 Parallel circuit contains two or more paths for negative charges to travel. The current that flows through one path does not have to flow through all the others therefore if a loop is broken, the current will still flow through the other loops and light or charge the devices. 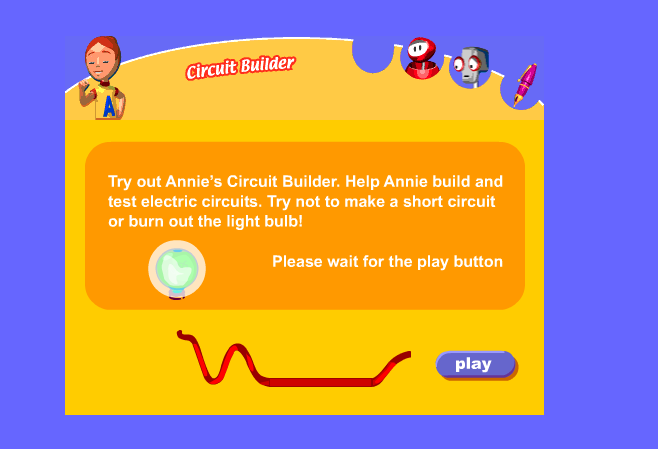 Click on image above to access Electric circuits interactive learning. Click image above to access interactive site. 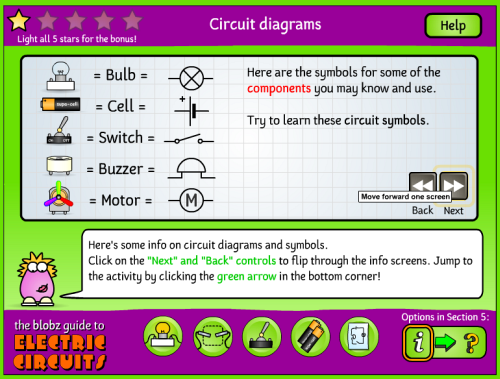 Click image above to access changing circuits activity. Click image above to access activity. 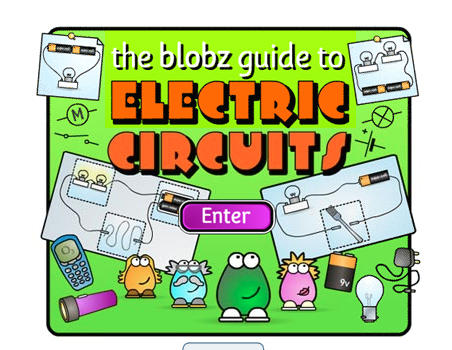 Click on image above to access circuit building activity. Click image above to access Study Jams video. 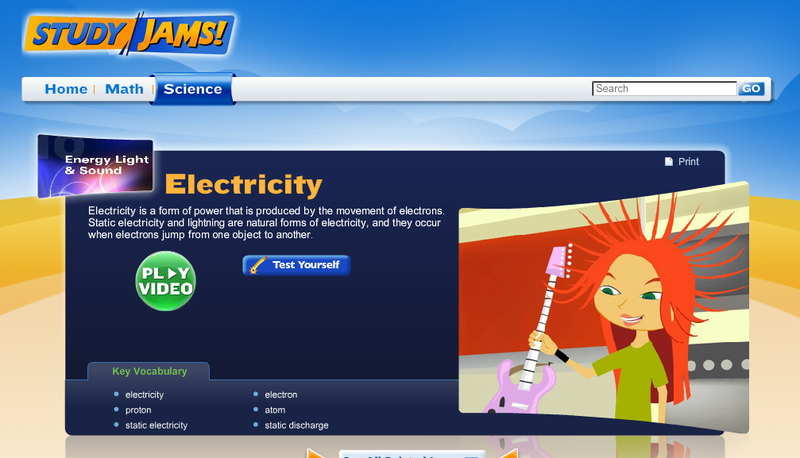 Click on image above to take the electricity quiz!